The state of Maryland fell far short of national home price increases in July, CoreLogic says. Maryland’s home prices increased a paltry 1.2 percent year-over-year — 4.8 percent less than the national average. The Washington D.C. metro area, which included Virginia cities Arlington and Alexandria and West Virginia, saw home prices increase just 2.5 percent since July 2015. Cheryl Spangler profiles Cameron Station, an Alexandria community known for its classic layout and military past. 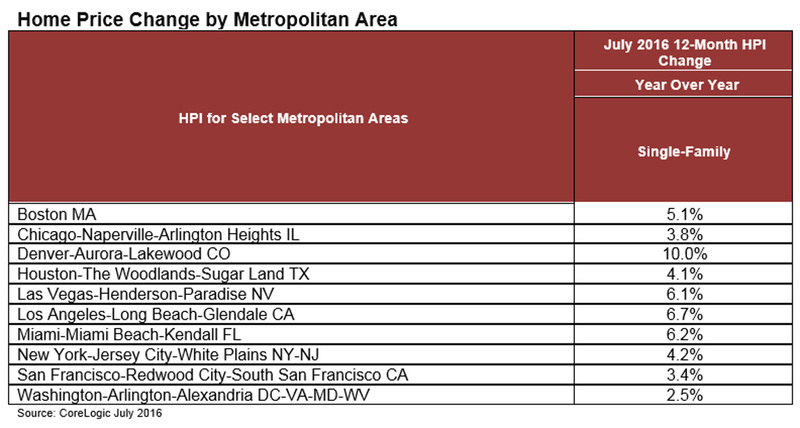 As of July, D.C. proper held the fifth highest foreclosure inventory rate in the country in CoreLogic’s National Foreclosure Report, at 1.8 percent. Despite a greater incidence of homes in some state of the foreclosure process, the foreclosure rate was down 24.4 percent from one year ago.